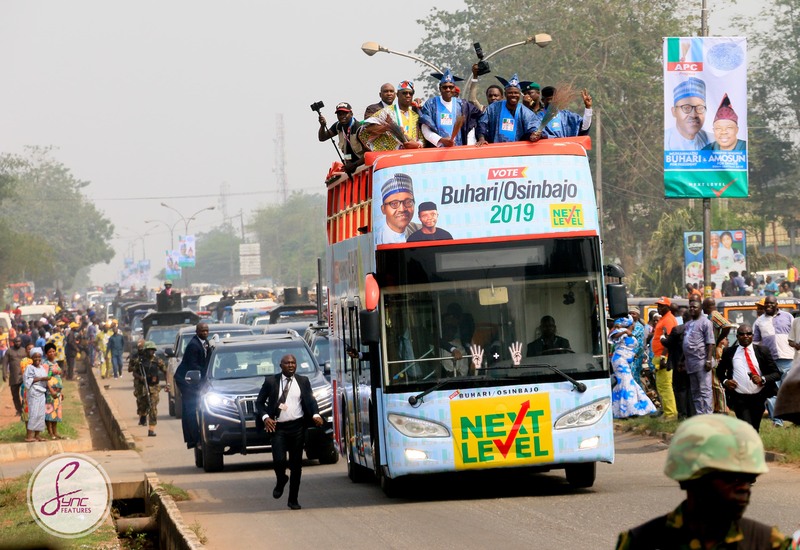 President Muhammadu Buhari has arrived in Abeokuta, the Ogun State capital, where the APC is holding a campaign rally at the MKO Abiola International Stadium. 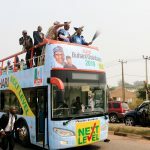 The president is joined by Vice President Yemi Osinbajo, and Ogun State governor Ibikunle Amosun. 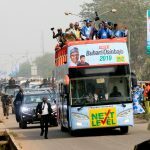 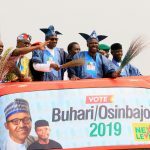 This is part of the president’s campaign tour of states, in less than a week to the presidential election, which would culminate in a grand rally at his home state of Katsina on Thursday. 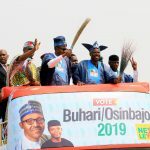 Buhari, along with Vice President Yemi Osinbajo, is running for a second 4-year term in office.